As well as being able to view your Queue as a list, you can also toggle to a Calendar view. 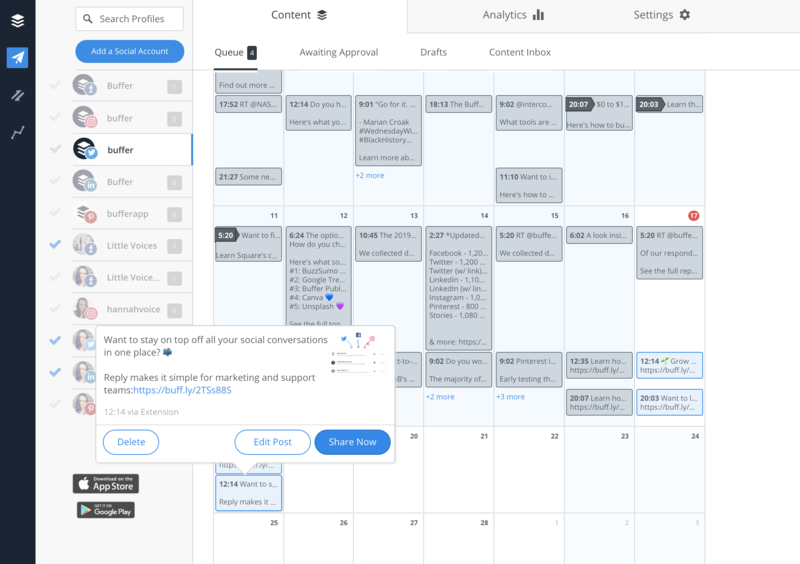 This allows you to see both your published posts and your scheduled posts. 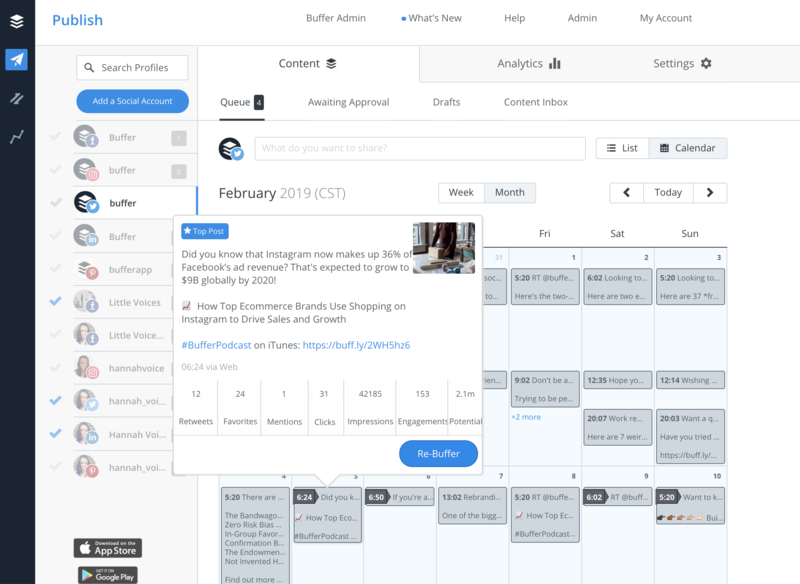 You can toggle between a week or month view, see engagement metrics on posts that have already been shared, move posts around, edit posts and add new posts. You can access the Calendar using the toggle at the top right of your Queue. Please note, the Calendar view is available on a per-social account basis. 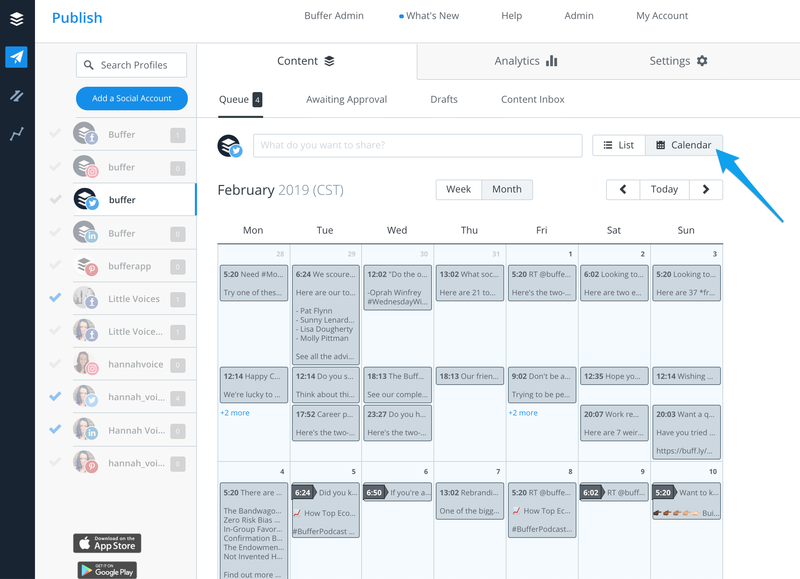 It is not currently possible to see a Calendar view of all of your posts across multiple social accounts. Posts displayed in grey are those that have already been published. Hover of the post to see a summary of engagement metrics. If you'd like to share the post again, click on the Re-Buffer button. You might find it handy to use the left arrow at the top of the calendar to look at posts further in the past. Learn more about the Re-Buffer feature here. Posts displayed in blue are those that are waiting to be published. Hover over the post to see the full post, along with options to Delete, Edit Post and Share Now. In the week view, scheduled posts can be dragged and dropped elsewhere in the calendar. 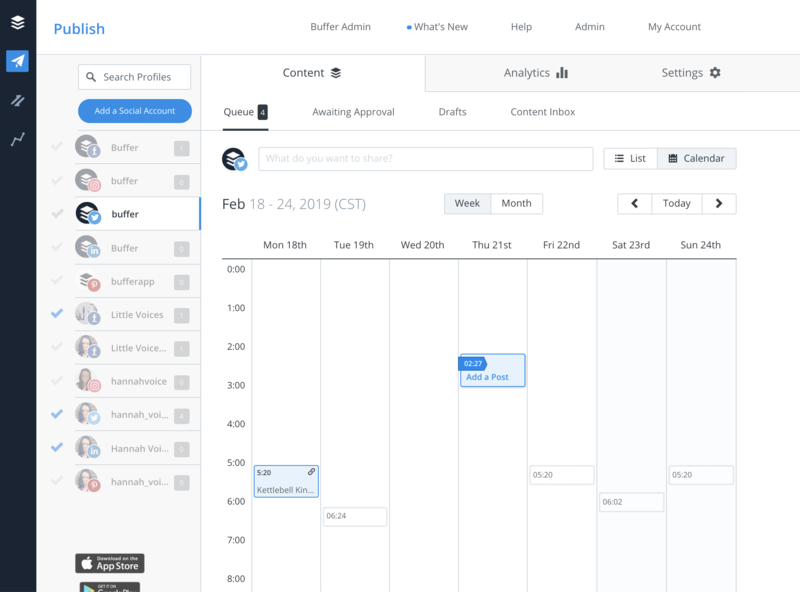 In the week view mode, you’ll also notice empty time slots, which you can click on to schedule a post. Posts scheduled in this way will be pinned posts.